The city of Renton is the fourth largest in King County with a population of about 100,000 residents. It is located in the Puget Sound region of western Washington at the southern tip of Lake Washington and the mouth of the Cedar River. 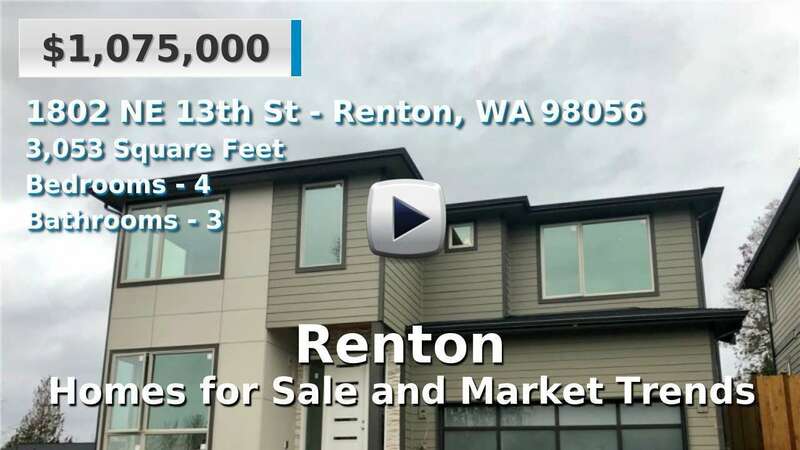 This suburb is just 11 miles south of Seattle, with homes and condominiums for sale ranging from well-established to new construction. Renton is home to a large number of manufacturing and technology companies, including the Boeing aircraft plant, and was the site of the first Pacific Northwest Ikea store. These are the city’s main claims to fame, but it is also known for its convenient location to SeaTac Airport and Seattle itself. 4 Beds | 2.5 Baths | 2870 sq. Ft.
3 Beds | 2.5 Baths | 2620 sq. Ft.
3 Beds | 3 Baths | 1670 sq. Ft.
2 Beds | 2 Baths | 1243 sq. Ft.
2 Beds | 1 Baths | 797 sq. Ft.
5 Beds | 3.25 Baths | 3153 sq. Ft.
3 Beds | 2.75 Baths | 2900 sq. Ft.